The 2018 edition of the Canadian Furniture Show will have one focus, and only one focus: product. For three days there will be nothing between the retail buyer and the merchandise and services exhibited on the floors of the International Centre in Mississauga. There will be no distractions. No seminars, no lunches, no entertainers – indeed, no frills of any kind. And that’s by design. In fact, Pierre Richard believes that’s the way both attending retailers and participating exhibitors – and to some degree, visiting interior designers as well – want it to be. When only 30 or so people turn out for a ‘lunch and learn’ session with a renowned expert on demographics, as was the case last year, it’s very disheartening. “We have to listen to what the people are telling us,” he pointed out. What retail buyers have been saying – in every survey conducted since Richard took the reins almost five years ago – is they want to see new product. That’s it. That’s all. “For them, it’s more about the product and the exhibitor than it is about anything else,” he said. So that’s what they’re going to get. At press time, CFS officials said 96% of the show floor – which includes Halls 1 to 4 of the International Centre – had been sold. “We are in line with last year’s square footage,” Richard said. They were also expecting more than 215 exhibitors in total – including the permanent showrooms in the centre’s SOFA (Source of Furniture & Accessories) annex as well as four others with permanent showrooms in the surrounding area. These include Korson Furniture Design, Brentwood Classic, Décor Rest and Superstyle Furniture, as well as its sister companies, Trend-Line and Simmons Upholstery Canada. In all, the exhibitor count is down slightly from 2017. CFS also reported there will be some 55 new exhibitors at this year’s event. At least 35 are furniture manufacturers while two are mattress producers. This year’s event will also have something an international flavour as four countries – including China, Indonesia, Portugal and Ukraine – will show off the prowess and product lines of their own furniture makers. Their displays will be in Halls 2 and 3. 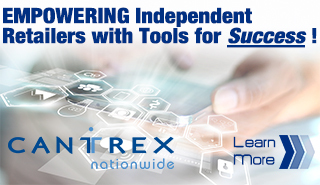 “Because we update Trade Show News Network, we are listed on multiple international trade show listings, and so, as a result, the show’s international interest is growing organically,” Richard said. 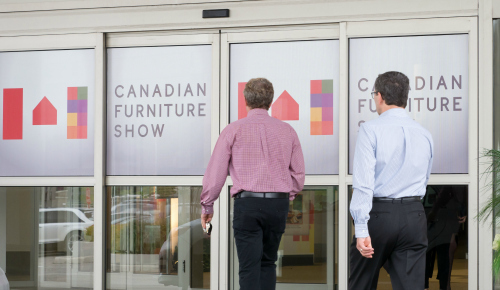 All three of Canada’s furniture buying and marketing groups will once again have a presence on the floor, including Cantrex Nationwide, Dufresne Retail Solutions Group and Mega Group. Returning to CFS with a larger display space than last year will be Palliser Furniture Upholstery, which will occupy several of the ballrooms in the International Centre’s conference area. The Winnipeg-based producer will be joined by its case goods division – Casana – as well as by Kalora Interiors, its aligned area rug supplier. Richard also believes CFS is the only place the majority of its exhibitors can be seen as they don’t participate in any other North American furniture trade event, giving retailers a heightened opportunity to source exclusive product. Click here to read the rest of our preview of the 2018 Canadian Furniture Show in the Summer edition of the HGO Merchandiser.